Advise: Take your seasickness tablet before watching. It stops short of success though. 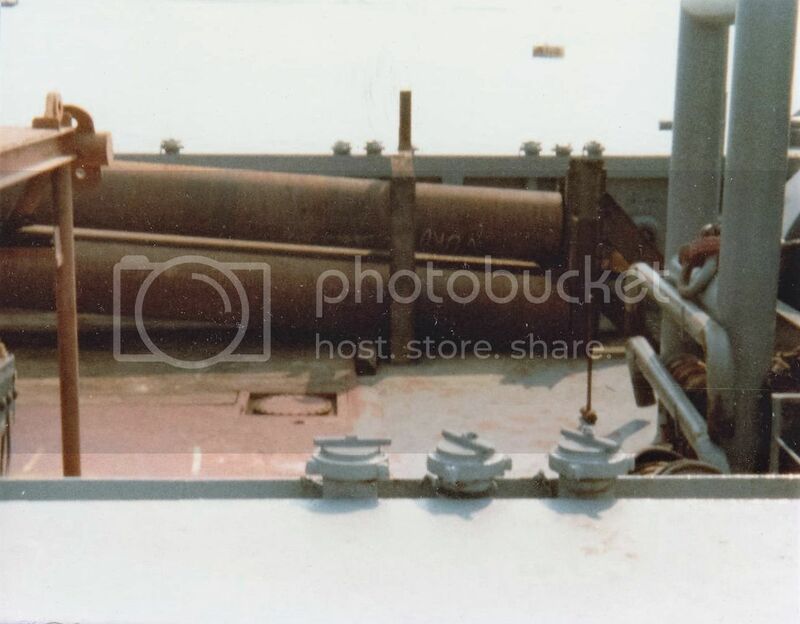 The operation shown here is resetting one anchor. The barge has 12 anchors and use two AHTs to do this operation over and over again 24/7. 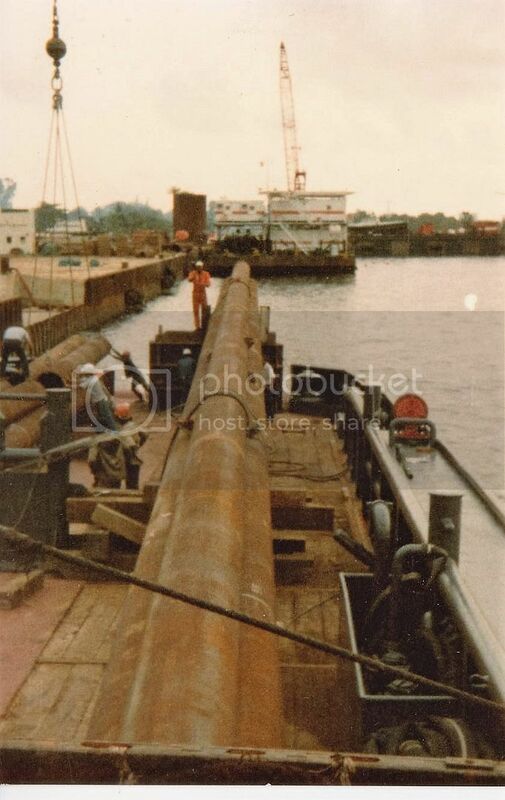 It moves ahead 80 ft. every few minutes while laying pipe and is held in position only by anchors. The pipe has to be kept in tension at all times, otherwise it will buckle, or even break. 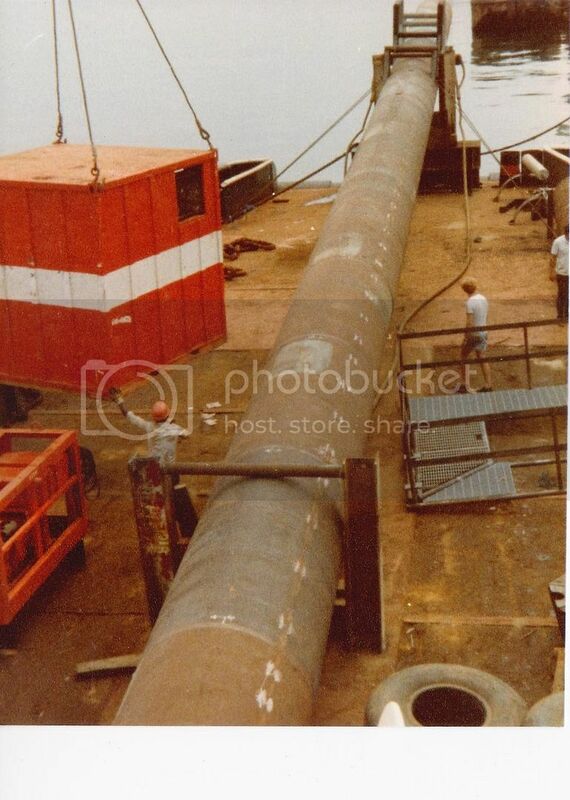 In bed weather the pipe end is laid down on the seabed for safety. Maybe the most tiring job there is for the Master, Officers and Deck crew. It never stops for weeks on end. Clearing out old stuff I came across some pictures from way back in the 1980s. 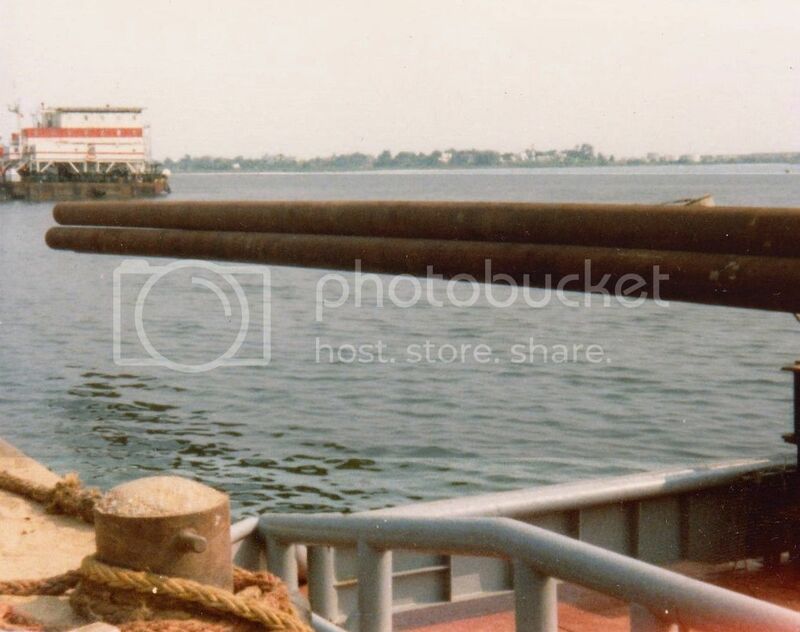 First from loading of long piles on small Supply vessels for BOS Congo in Point Noir in 1984. I found the height above still water unacceptable, even for the short trip to Cabinda. 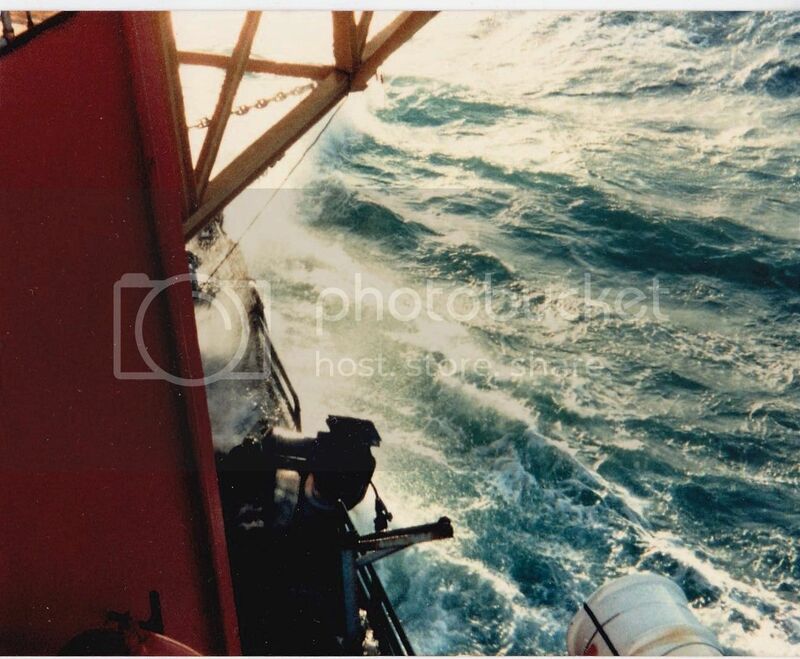 The prevailing long swells in the area could result in the ends dipping into water and flooding the pipes, thus causing a lot of extra weight. To alleviate that we got hold of three large Norwegian Buoys from an arrested Tuna Seiner sitting at anchor in Point Noire. These were partly deflated, placed into the end of the pipes and re-inflated. 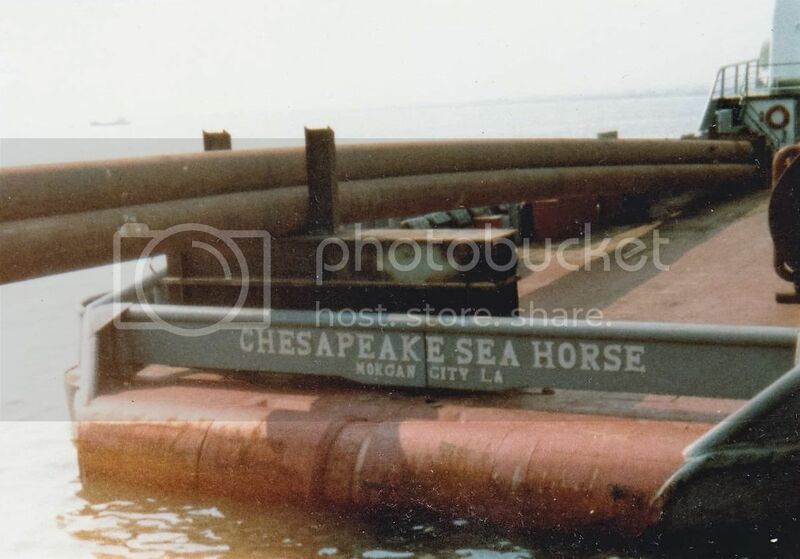 PS> The Chesapeake Seahorse length o.a. is 56.40 m. (Lpp: 51.80 m.) Still in existence, but in layup. 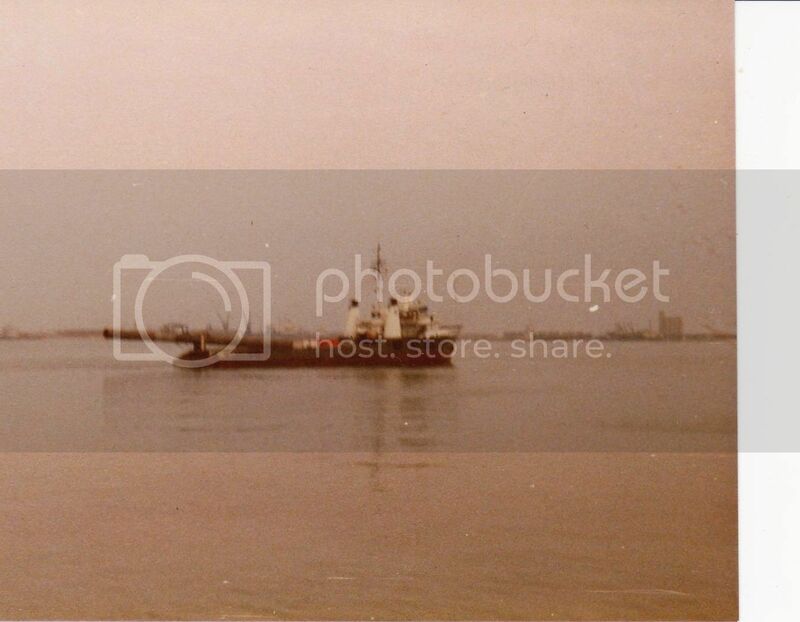 I also found a couple of pictures from the tow of the Argentine Jackup Rio Colorado I from Tierra del Fuego to Puerto Madryn, Argentina, a distance of about 800 n.miles. The dedicated forecast was for a force 4 so we decided to cross the mouth of Golfo San Jorge, in stead of following the coastline as originally planned. When I called the Duty forecaster to report that we were experiencing a force 10-11 storm, his answer was; No, that is not possible. I shall not quote my reply here. Luckily we made it without any serious damages. I was thankful for having only 8 riding crew on the rig and a helicopter following our progress up along the coast, just in case. 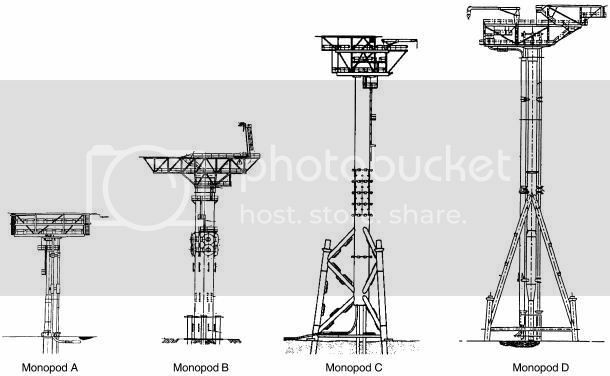 It is not a very nice area to operate rigs, especially not small jackups, or anything else afloat for that matter. 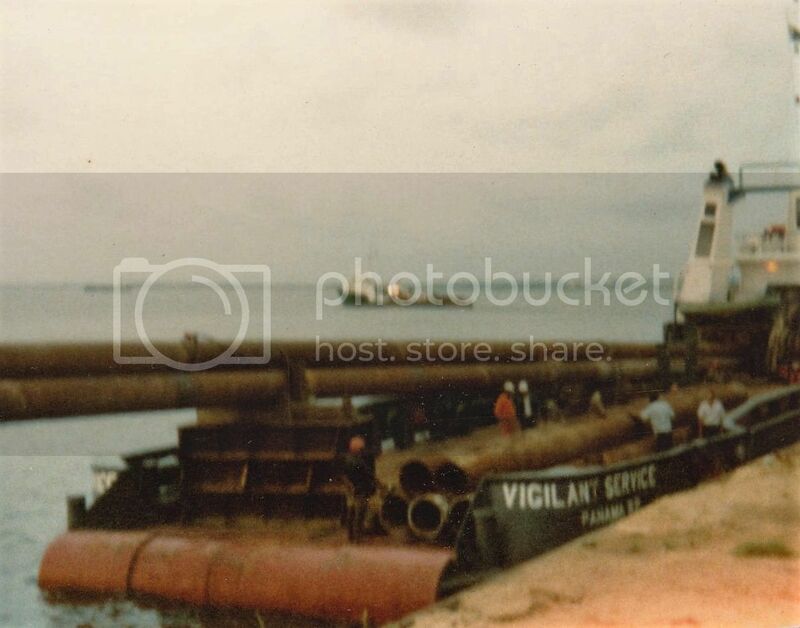 I was not involved with this project, but I was once Marine Adviser on the LB 200, which laid the main section of the pipe and featured here. Since the exit was closed he disappeared under Stornespiren, to reappear at the ro/ro ramp on the other side. Early Monday 8th August, the 17,000-tonne (deadweight presumably) semi-submersible drilling rig Transocean Winner, under tow from Norway to Turkey, via Malta, to be scrapped, ran aground on the Isle of Lewis, Western Isles Scotland, after towing line between the rig and its tow Alp Forward broke in stormy weather. 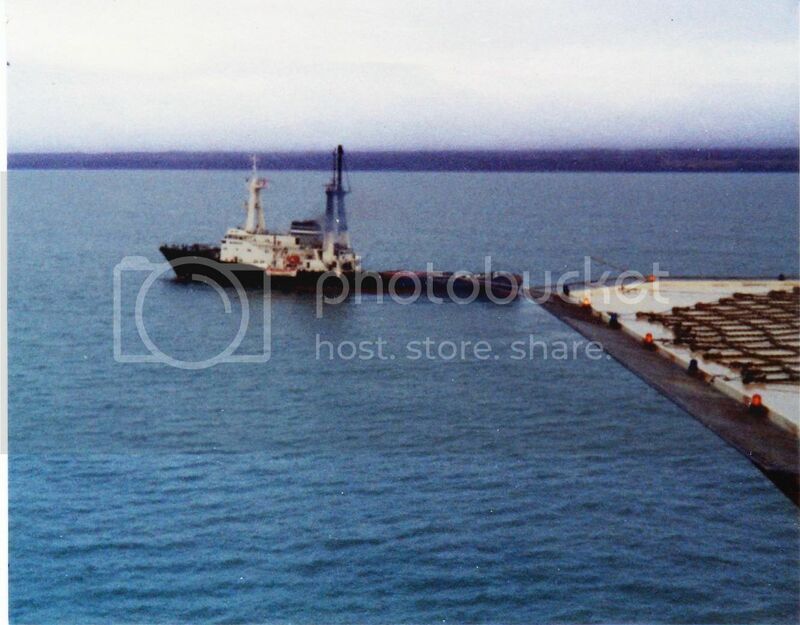 The structure is reported to have been carrying more than 60,000 gallons of fuel, more than 12,000 gallons (56,000 litres) of which were reported on 11 Aug to be lost. On 20 Aug, it was reported that 280 tonnes [why the change of units?] 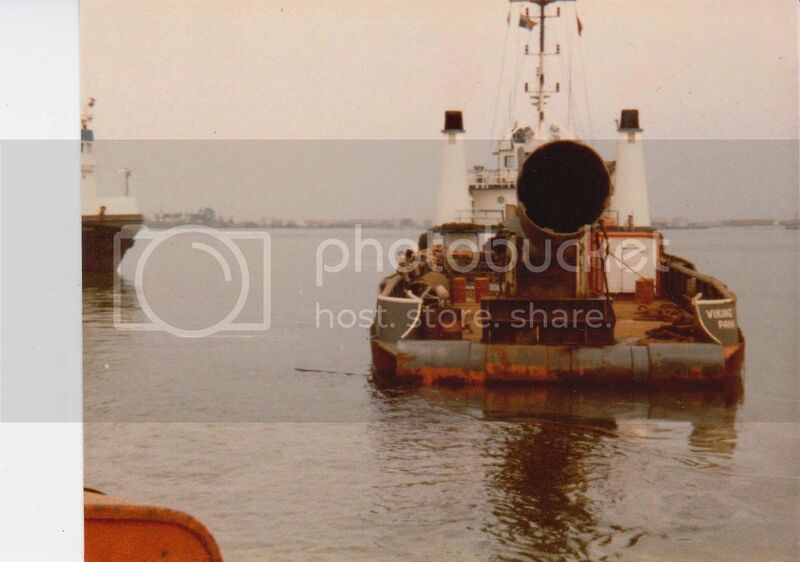 of diesel oil was removed without [further] polution. 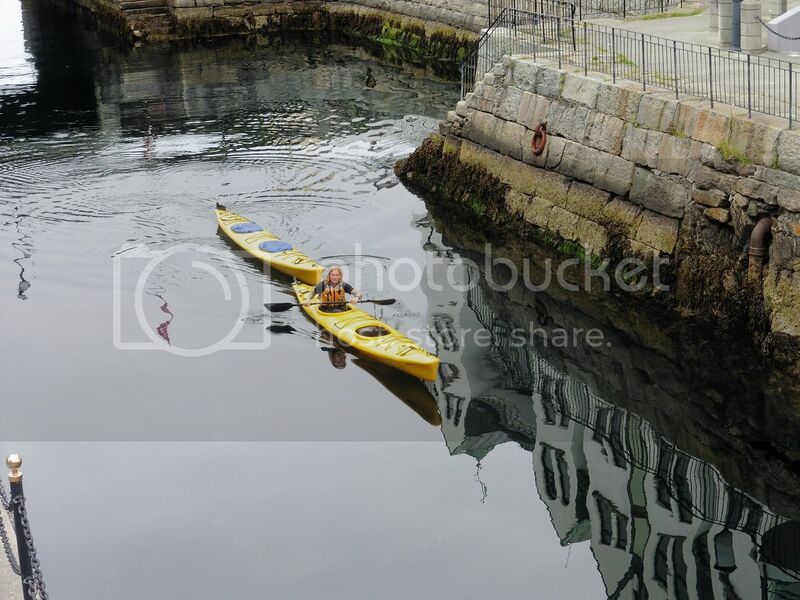 22 Aug - TV news reports an attempt will be made to refloat the rig on this evening's high tide about 22:00. Presumably this attempt will be undertaken by salvage company Smit, which was earlier reported to have been appointed to deal with the incident. 22 Aug - Transocean Winner was refloated at 22:04, close to high tide, and is being towed by the two tugs Union Bear and Union Princess around Lewis to Broad Bay on the east side of the island. The journey will cover about 54 miles and could take up to 21 hours to complete. Last edited by Clipper; August 23rd, 2016, 10:29. 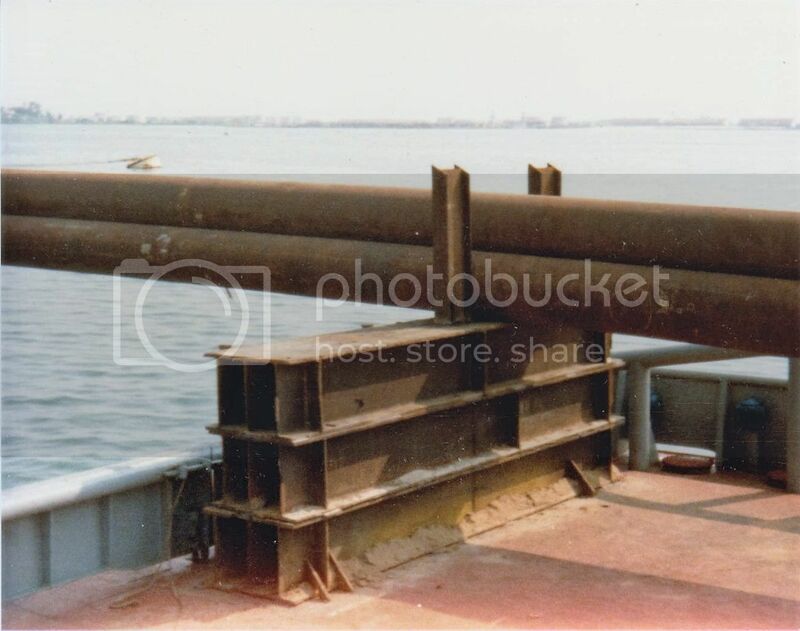 Now back to Rotterdam for additional "arms" to be fitted before the big one in the Brent Field, UK waters. The Offshore Wind market is still booming in Western Europe at least. OK, I have to admit it, I do miss being part of such large operations once in a while. But then again, I also have to admit that I have become too old for those things.